This June, we’re embarking on a week-long journey through Greece’s Cyclades Islands. Sailing from Paros, a 3 hour ferry ride from Athens, we’ll visit a half dozen islands, from unknown spots to the world-renowned Santorini. This will be a voyage marked by natural anchorages in hidden coves, architectural exploration, a couple of wild nights out on the town, and lots (and lots) of delicious food. Home to Feta cheese, Democracy, and more than 6000 islands, Greece is a jewel of Southern Europe. The Greek Archipelago comprises almost half of the country’s coastline, with each stretch of sand more spectacular than the last. This trip will mix plenty of laid back beach hangs with exploration of towns and cities. Sailing gives us the freedom to explore more secluded spots, and we’ll visit a range of different sized islands. Our pace will be moderate, balancing relaxation with the opportunity to see the best of the islands. Pulling into harbors in our floating hotel gives us a homebase right in the middle of the action. 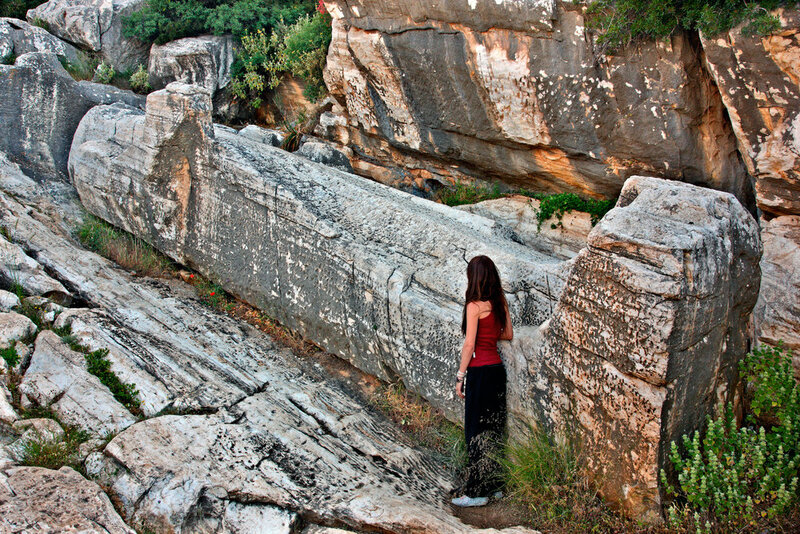 Southeast of Athens in the middle of the Aegean Sea, the 220 Cyclades islands are peaks of a submerged mountainous terrain, with the exception of two volcanic formations, Milos and Santorini. Most of the smaller islands are uninhabited; read, perfect for pulling up onshore to our own private beach. We’ll be sailing a 40 foot Catamaran through the Cyclades - the perfect platform for our adventure, with a swimming platform off the stern, a big trampoline between the two hulls for laying out, and plenty of space for our crew to sprawl. We’ll cook the majority of meals on the boat, sharing in the prep to bring the squad closer together. 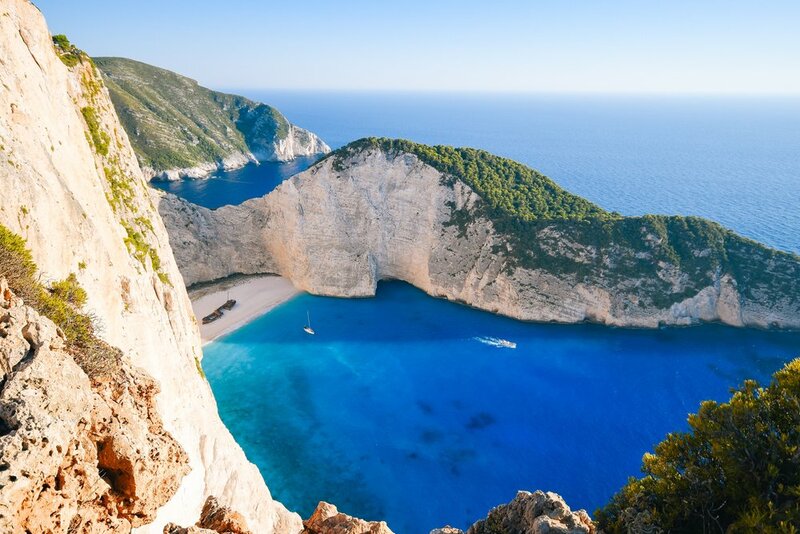 Southeast of Athens and set in the middle of the Aegean Sea, the roughly 220 Cyclades Islands are peaks of a submerged mountainous terrain, with the exception of two volcanic islands, Milos and world-famous Santorini. These islands center around Delos, one of Greece’s most sacred sites, and have been inhabited since 4000 BCE. We’ll have ample time to dive into this history across the Archipelago. The Cyclades provide ample opportunity for exploration, including from our departure port of Paros. Bring your boots to climb her 2250’ summit - your reward will be panoramic views extending out into the ocean. On other islands, the hikes will lead up steep staircases past white-washed houses and temples. We’ll also play out on the water, with stops for exploring the coastline by kayak and/or standup paddleboard. Our voyage takes us past a variety of islands, including Santorini, where we’ll have the opportunity to enjoy the finest that Greek nightlife has to offer. It’s summer and time to celebrate! Throughout the trip, we’ll also sample plenty of delicious Greek cuisine, from dolmas and gyros to moussaka and spanakopita, along with just the right amount of ouzo, the traditional Greek spirit. meals onshore (apart from welcome dinner). Budget an additional $100-200 to cover these meals on land. This 7 day Experience is designed to showcase the best of the Cyclades Islands. It will involve substantial amounts of sailing each day, alongside time to explore. Direct flights to Athens are available from some US cities, as well as easy connections via major European cities. From Athens Piraeus port, it’s a 2.5 - 4 hour ferry journey to the island of Paros and our starting and ending points. Paros is at the dividing line between the North and South Cyclades, so if you want to extend your trip, consider venturing north to Mykonos and other islands. Sample flights from $750 round-trip: NYC, SF, LA, DEN. The pace of this trip will be mixed, with time to relax on the boat and in port, along with optional activities each day - join other Bolt members or hang back and explore at your own pace. Departing and returning to the island of Paros, our itinerary will take us west to Antiparos and Sifnos before heading south towards Santorini. After a stay on this larger island, we’ll return to the north, with planned stops on Ios and Naxos before sailing back to Paros. Note this is a rough plan and the route is not set in stone; sailing a smaller fleet means we can make decisions based on conditions and the interests of the group.